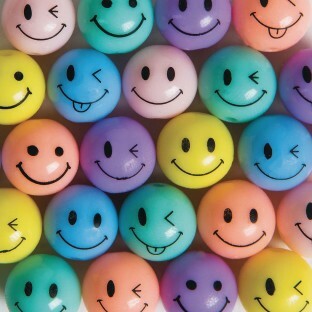 Emoji face bead mix in assorted opaque colors. 12mm diameter with 2mm hole for stringing. Plastic. Approximately 225 pieces per 1/2-lb. bag. Colors are yellow, green, pink, purple, blue, and orange.